OverviewHelping businesses find the right spaces for the right reasons since 1967. Tenant RepresentationIndividualized tenant services that see beyond simply slotting renters into suites. Landlord RepresentationUniquely insightful landlord services from a seasoned owner. Investment Sales$300 million in active listings backed by agility and the ability to respond to the ever-changing real estate market. LandReal understanding of the true value of land as an asset and development tool. HealthcareForty-plus years of healthy action supporting physicians, patients and health care systems. EducationExpert real estate services for schools of every size and grade. RetailFull-service real estate services that drive blockbuster retail results. IndustrialProviding innovative, value-add, cost-saving real estate solutions. OverviewInvestment services for institutions and individuals alike with a multi-billion dollar track record. DevelopmentInnovative, interesting, beautiful properties in hospitality, residential, retail and multi-family. AcquisitionsExpert acquisition based on calculated risk and a four-decade ability to see (and realize) potential in properties. Asset Management360-degree property management that overturns every brick to mitigate issues and build success. Capital PartnersHigh-profile partners from around the globe. OverviewChanging the game and raising the bar in property management since 1967. Tenant RelationsHands-on tenant services designed to help owners manage expenses and keep an eye on daily property issues. Financial ReportingDetailed reporting on properties using a client’s already-established software choices. Engineering ServicesExpert, jack-of-all-trades facility operations services that solve issues before they become problems. Search based on multiple criteria. 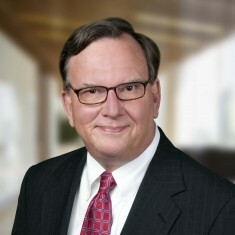 George Edwards brings more than 35 years of experience in commercial/investment real estate. His present focus is the representation of buyers and sellers of industrial and office buildings, and land. George has been responsible for completing lease and sales transactions of office and industrial properties in excess of $250 million. © Copyright 2019 Ackerman & Co. All Rights Reserved.